The prices of properties are continuously escalating in Birmingham. Hence buying a new home for residential requirements has today become a costly affair, especially for the larger families looking to invest in spacious homes for comfort of living without congestion. Therefore a better alternative for these home owners looking for home shifting is loft conversion. Loft conversions in Birmingham are better options for home buyers as they are much economical to get done and can also add up space in the existing home to fulfill their spacing requirements. Carrying out loft conversions is not an easy task at all. Different factors need to be kept in mind and knowledge of various aspects for better designing is necessary. Therefore converting lofts requires expertise in designing lofts which could be found in only experienced converters. Most of the modern homes in Birmingham are made of trussed rafters. Trussted rafters are thin wood lines fixed to form series of triangles in structure which can carry the building blocks or tiles above them. To modify these modern roof structures without serious structural consequences could be quite difficult task. Moreover there are even older homes with earlier roofs which are more sturdy and inflexible to take any further loads. Changing such roof structures for additional living space creation can be very tricky and a daunting task. Hence the loft conversions specialists in Birmingham West Midlands are hired for their services. These specialists are aware of various roof structures in the Birmingham and will have the experience of converting different forms of roofs. For this reason, every loft converter before taking any step for conversions, will initially look out for the structure of the roof of the home for which the conversion is to be carried out. There are different types of conversion procedures adopted by these converters for efficient home renovation depending on the type of roof. Dormer loft conversions are considered for the roofs with very little space, while the hip to gable loft conversions will better serve the purpose of hipped end roofs. The velux loft conversions are the best options when converting loft to create a spacious and well ventilated room in the home is the requirement. Accessibility of the loft is yet another important consideration while designing lofts. You require an easy climbing source to get onto your lofts. The things to be kept in mind while designing lofts is that they should easy to access by all the people in the family even the aged and should be properly designed so that climbing becomes easy and one can easily access the loft without fear of any hazards leading to severe injuries. Choice of ventilation in a loft is always dependent on the roof structure. You can either go with skylights, dormer windows or even a gable window depending on the type of conversion suitable for your roof. If you are planning to install air conditioner, check the items sold on HVACDirect.com. You would get high-quality goods for reasonable price. There are various other things which can be considered for an efficient loft conversion like easy escape facilitations provided for easy escape during hazards, sound insulating installations to prevent external noise enter into the lofts and much more. Abiding by the laws and regulations of local building and construction authorities and taking permissions if any necessary are few important things to be considered while designing lofts to add space to the existing home. With an efficient loft conversions specialist to do your job, you will not have to worry of all these aspects as they will take care of all on your behalf and desi9gn loft conversion for you as per your requirements as you relax and watch them do. Visit http://www.loft-conversions-specialist.co.uk to know about the expert loft converters in Birmingham, West Midlands. This entry was posted in Loft conversions in Birmingham, Loft Conversions In West Midlands, Loft Conversions Services on May 10, 2013 by chris warmer. Why do you Need to Hire a Loft Conversions Specialist in Birmingham? The process of loft conversion is very complicated. Before you decide to convert a loft into a space that can be used check if the effort is feasible or not. All lofts cannot be converted into living space. You may wish to carry out the work yourself but it is a good option to hire the service of proficient and expert individuals who are trained to perform such tasks. If you want to convert the loft in order to accommodate more members of the family, choose any one of the types of conversions. 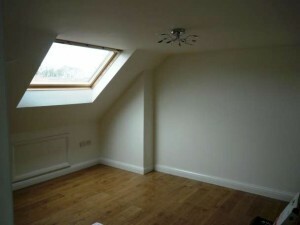 You can convert a loft into a bedroom, study room, store room etc. depending upon your need. To meet the need for extra space people in Birmingham are converting lofts into living spaces. Often people are interested in converting the full loft along with stairs, where as some people just want an extra storage space. The procedure of converting a loft is not the same as for remodeling or extending a building. The plan for conversion has to be architecturally good and it has to be approved by the local committee for buildings. A conversion specialist firm or an individual will have experience of converting lofts and will be able to guide you and give you information about the various designs available. They will help you to decide which design will suite your space the best. Then you can design the sort of room you want. To carry out the work of loft conversion yourself is not a good idea. To meet any building necessities and to carry out the work appropriately you will need a specialist who has the required understanding. A conversions specialist who has been working since years will be familiar with the complete procedure so, he will be able to finish the work within stipulated time. You will have a professional to help you and guide you. He will direct you if along with a room it is possible to add a bathroom and some windows. Without a professional you may miss out on these factors to make the room more comfortable. Good conversion specialists will offer superior planning for your loft. They will also take care of the permission for planning a loft. They dispose of the rubble and the waste in a skip. There are many firms offering loft conversions. Before you decide which firm to hire, check their references and appraisal. In order to save money don’t compromise on the quality of work. If you hire work force yourself, you have to manage them also, which is a lot of stress. So, in order to save yourself the stress, save your time and get a well finished loft conversion work done, hire a conversions specialist. He will convert your dull loft into a brilliant and cheerful area. This entry was posted in Loft conversions in Birmingham, Loft Conversions Services on May 4, 2013 by chris warmer.